Here are the programming instructions for a 1998 Mazda MX-5 Miata Key Fob Remote. 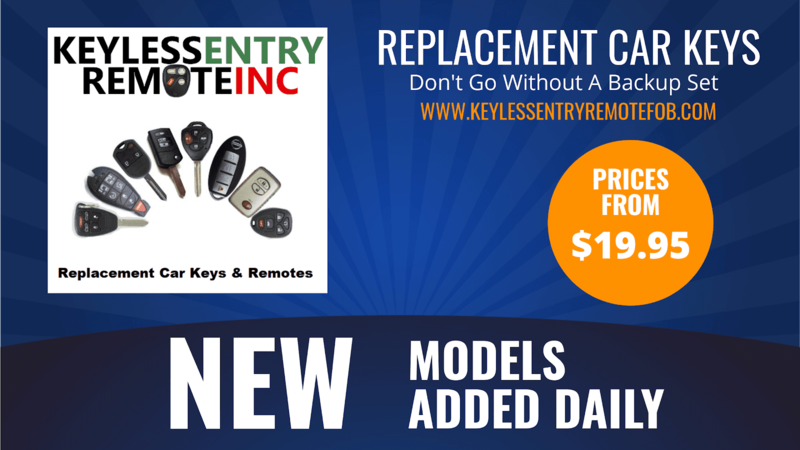 If you need an extra Key Fob or Replacement Fob for any vehicle you might have visit us at Keylessentryremotefob.com You can also leave comments or suggestions at the bottom of this blog. If you like what we provide please forward on to your friends & family and share via the social media icons below; people like you are our best advertising tool! 1. Close all the doors including the trunk. Get in the driver's seat and OPEN the driver's door. 3. OPEN and CLOSE the DRIVER'S side door (3) times. 4. The vehicle will respond by cycling the door locks to confirm it has successfully entered programming mode. 5. PUSH the LOCK button TWICE on the first remote you are programming (order does not matter). The door locks will cycle to confirm successful programming. (1 REMOTE) IF you only have one remote PUSH the LOCK button TWICE TWO MORE TIMES. The locks will cycle to confirm successful programming between each time you press twice. Proceed to step 6. (2 REMOTES) IF you two remotes PUSH the LOCK button TWICE TWO MORE TIMES ON THE SECOND REMOTE YOU ARE PROGRAMMING. The locks will cycle to confirm successful programming between each time you press twice. Proceed to step 6. (3 REMOTES) IF you have three remotes PUSH the LOCK button TWICE on the SECOND remote then PUSH the LOCK button TWICE on the THIRD remote. The locks will cycle to confirm successful programming between each time you press twice. Proceed to step 6.